« O’Melveny Park Weekday Walk — A Birdathon Event! 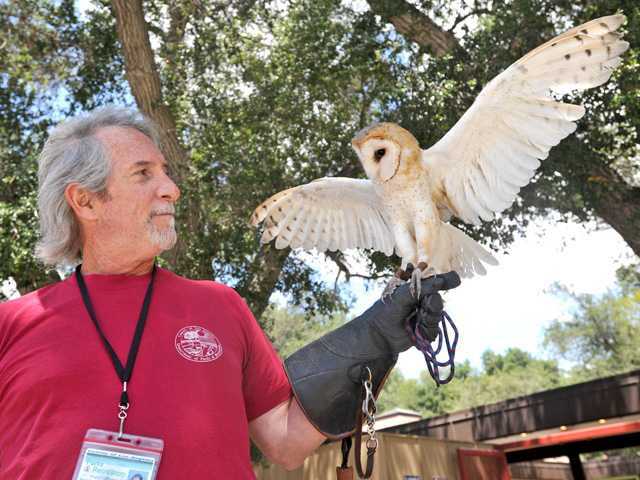 Frank Hoffman has been practicing the Art of Falconry for most of his adult life and is a Master Falconer. He maintains a beautiful Harlan’s Red-tailed Hawk that was wild trapped in the Antelope Valley 13 years ago (though she’s not flying now due to her annual molt). Frank is also a California State Licensed Hunter, a requirement for all falconers. His presentation will feature some history of falconry, modern falconry as it’s practiced today, conservation efforts by falconers, the different birds employed by falconers, equipment used in the practice and common issues and problems that modern falconers face today. Your ticket for the: Public Monthly Meeting — Frank Hoffman and Raptors!